MOST PEOPLE JUST get Colin The Caterpillar cakes for their birthday. This guy’s colleagues, however, went one step further and decided to get him a personalised birthday cake. The photo was shared on Reddit by Reddit user AN0N0M0US, who wrote that his co-workers presented him with the cake on his birthday. And it seems he enjoyed it. 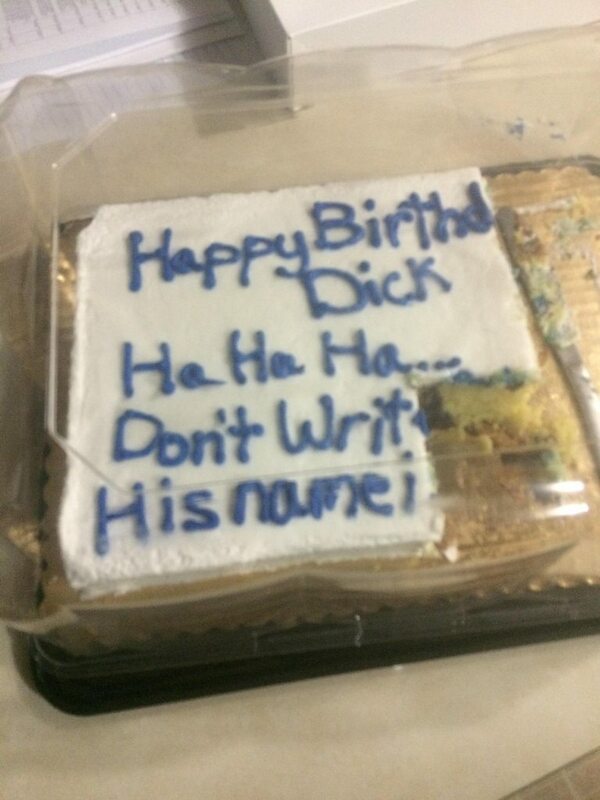 Email “This guy's mates got him the best birthday cake ever ”. Feedback on “This guy's mates got him the best birthday cake ever ”.